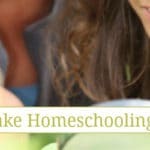 Summertime homeschooling should be lots of fun homeschool moms and kids alike are ready to put the books away and head outdoors for some time in the sun! As year round homeschoolers there are a few subjects that we have grown to enjoy doing during the summer. So, I don’t stress if we don’t complete them during the “normal” part of the school year. This year we’re doing science over the summer, but we aren’t using any textbooks! 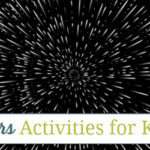 In case you still need to cover science this year like we do, (or if your kids just really love science), I’ve put together a list of fun ways to do science over the summer! My kids are hands-on, visual learners and science experiments are one of their favorite ways to cover science over the summer. 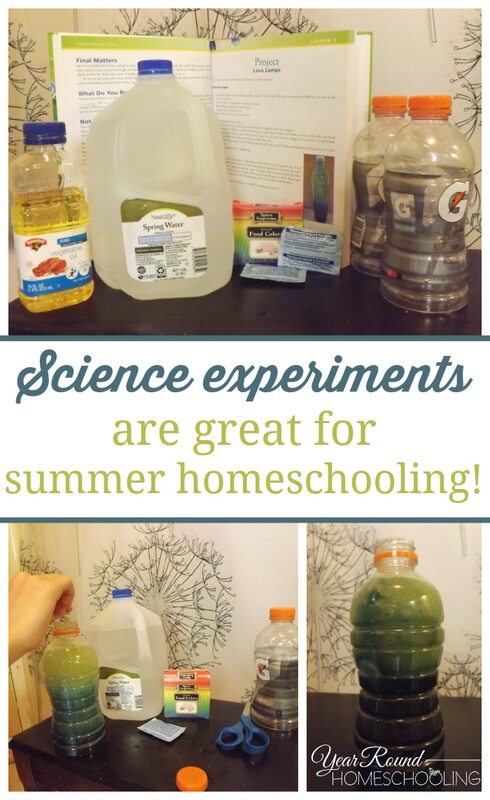 As a homeschool mom I love having my kids complete their science experiments in the summertime because I can send them outside! This allows them to make a mess that I don’t have to clean up inside my house because the kids, their experiment and all of the supplies are outdoors. 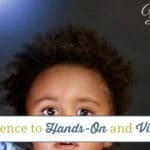 The science experiment resources that I love most are completed with common household supplies or have a kit that can be purchased that include all of the supplies you’ll need. My favorite science experiment resources are the Backyard Scientist book series and the Rainbow Resources kits that complement Apologia’s science curricula. We’re actually using their kit to complete the science experiments in Apologia’s Exploring Creation with Chemistry and Physics curriculum this summer. Summertime is the perfect time for a lot of nature studies. We tend to do a lot of hiking which takes us out directly into nature! While we’re out there I tend to print nature themed notebooking pages for my kids to use when we stop to rest or when we happen upon fauna or an animal that we’re unfamiliar with. If your kids don’t like writing or sketching, I highly recommend bringing along a camera and letting them take pictures along the way. We prefer unplanned nature studies vs. using a nature study curriculum, but there are some great nature study curriculum options if that would work better for your family. One of my favorite resources for inspiring nature study in my kids is the Handbook of Nature Study. I often find my daughter reading this book on her own because she loves nature! If you’re heading to the beach this summer it is easy to complete a beach nature study while you’re there and a beach scavenger hunt adds a lot of fun! I grew up watching Magic School Bus with my little brothers. A few years ago the first science kit I saw was Magic School Bus themed! It is amazing how things come back from our childhood. These type of science kits are a great resource for a specific lesson or interest in science. If your child is interested in rocks, bugs, volcanoes, germs, slime or plants, there are science kit options for your kids to use to study any of these topics! If you prefer to have a subscription service that will deliver science kits to your doorstep each month here a few to choose from! There are a lot more options out there though, so if these science kits don’t fit your family keep looking. The beauty of unit studies is that you cover more than just one subject while you complete your study! 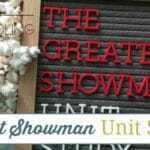 You can create your own unit study or purchase one that is ready to go! You could complete a science over the summer by doing a unit study of penguins, the human body, earth science, sports, robots, weather, kitchen science and more! My favorite unit study resources are Amanda Bennett’s unit studies. We’ve completed her Roller Coasters and Terrific Tigers unit studies in the past and the kids loved them! Lapbooks provide a fun way to learn about any subject or topic. You can even create your own lapbooking elements to complete a lapbook for any study in your homeschool! Whether you create a lapbook based on the nature study, science experiments, science unit studies or purchase a scientific lapbooking resource, you and your kids will have fun learning about science while making memories creating a lapbook together! My favorite lapbooking publisher is In the Hands of a Child. I love the detailed lesson plans, lessons and directions for the lapbooking elements that are included in every lapbook they offer. In the past we greatly enjoyed completed their Animal Classification study which would be a great summertime science study for kids that love animals! 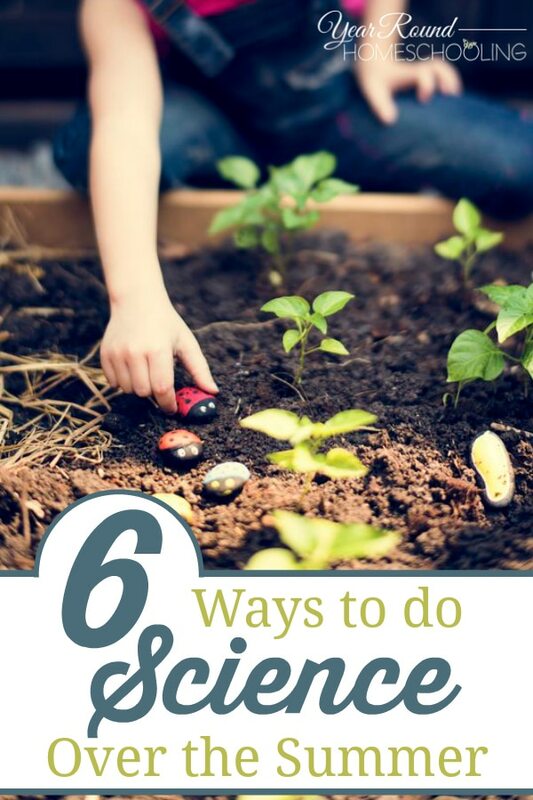 Your backyard is properly bursting with science waiting to be discovered! Send your kids outside to discover the life of beetles, bugs and butterflies! Let them create a home for their new friend or have them collect ants for an ant farm! Have them plant a flower garden of their own and learn about science and the importance of responsibility too! The possibilities for teaching science over the summer are endless and you don’t need a textbook to do so! Science is all around you! It doesn’t have to be all about lab work and experiments. The most important part of teaching science is to have fun while doing so! If you’re having fun learning science, your kids will be too! What are your favorite summertime science activities?